Pope Francis has made dialogue with Islam a cornerstone of his papacy, which began in 2013, and visited several countries with large Muslim populations. 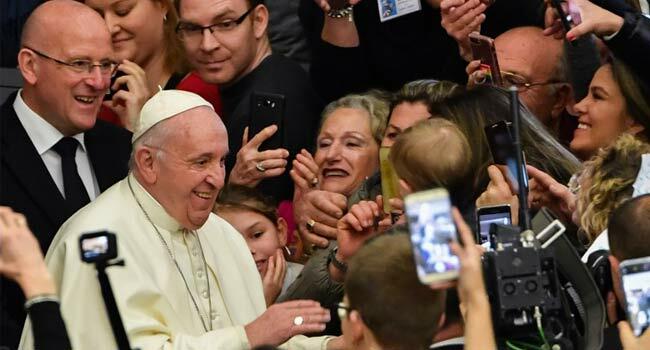 In February he will become the first pontiff to go to the Arabian Peninsula when he visits the United Arab Emirates. He is scheduled to travel to Morocco in March. Here is a recap of some of his other trips to meet Muslims. In May 2014 Pope Francis receives a warm welcome in Jordan’s capital Amman from King Abdullah II and meets with Syrian refugees. A day later he begins a pilgrimage to the Holy Land at Bethlehem in the occupied West Bank, stopping off for a silent prayer at the controversial separation wall erected by the Israelis. Francis also visits some of the most sacred sites in Islam and Judaism, including the Al-Aqsa mosque compound and the Western Wall. In September the same year he visits Albania where he praises the peaceful coexistence of its Catholics, Orthodox Christians and Muslims, labelling it “a precious gift to the country”. Francis says it is especially important “in these times where an authentic religious spirit is being perverted and where religious differences are being distorted”. In November 2014 he travels to Turkey where there is a comparatively tiny Christian community — just 80,000 among about 75 million Muslims. In Istanbul’s famous Blue Mosque, Francis clasps his hands in prayer alongside a senior Islamic cleric, a gesture of fraternity with Islam similar to that of his predecessor, Benedict XVI, in the same place eight years before. While the pope defends the alliance of religions against terrorism, the Turkish president, Recep Tayyip Erdogan, responds by issuing a strong warning about “seriously and rapidly” rising Islamophobia in the world. In November 2015 Pope Francis is given a rapturous welcome in the Central African Republic, a country plagued by sectarian violence. During his 26 hours there, he visits a mosque in Bangui’s flashpoint PK5 Muslim neighbourhood where he says Christians and Muslims are “brothers”. “Together, we must say no to hatred, to revenge and to violence,” he says. Among the crowd are several Muslims from PK5 wearing T-shirts bearing the pope’s image. In October 2016 the pontiff makes a brief visit to mainly Muslim Azerbaijan, a volatile ex-Soviet Caucasus region. There he praises the “benefits of multiculturalism and of the necessary complementarity of cultures” where the different religions practise “mutual collaboration and respect”. In April 2017 Francis pays the second papal visit to Egypt of modern times, 17 years after that of pope John Paul II. In December 2017, during a visit to Bangladesh, the pope asks for “forgiveness” from Muslim Rohingya refugees who have fled persecution in neighbouring Myanmar in their hundreds of thousands. “In the name of all those who have persecuted you, who have harmed you, in the face of the world’s indifference, I ask for your forgiveness,” he says after meeting 16 Rohingya refugees. The pontiff had just made a four-day visit to Myanmar where he called on Buddhist clergy to conquer “prejudice and hatred”, without explicitly referring to the Rohingyas. The pope visited a lot of country to preach peaceful coexistence between Christians and Muslims.